The weather is getting warmer and motorcyclists are returning to the roads. May is National Motorcycle Safety Awareness Month, so it’s a good time for everyone to review motorcycle safety. Did you know that according to Injury Facts 2017, nearly 5,000 motorcyclists/passengers died in crashes in 2015? There were another 88,000 nonfatal injuries that year. While motorcycles account for approximately 3% of all registered vehicles in the United States, nearly 14% of all traffic fatalities in 2014 were motorcyclists. 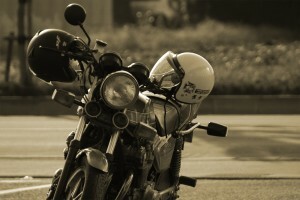 Distracted driving is a very real problem for motorcyclists. Drivers who aren’t paying attention to their surroundings may not see a motorcycle, even if the motorcyclist is signaling and driving responsibly. The best thing a motorcyclist can do for protection is to wear a helmet; helmets are estimated to be 37% effective in preventing fatal injuries for motorcyclists. Full coverage helmets offer the most protection; look for the DOT sticker to ensure that the helmet meets safety standards as required by law. If you or a loved one has been injured in a motorcycle accident, contact the Schuerman Law team today. Schuerman Law has been working with personal injury claims for over 40 years. John Schuerman will compassionately advocate for injured individuals as well as their families while fighting for full compensation of their claims. Schuerman Law offers evening and weekend appointments in addition to home and hospital visits. Schedule a free consultation today by calling 1-800-274-0045.